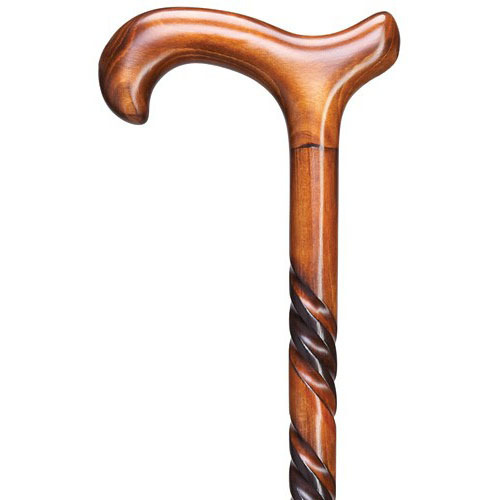 Triple-twist derby handle walking cane is scorched with dark cherry finish mounted on a carved spiral shaft. This walking cane is approximately 36" long. Imported from Germany. Can support up to 250 lbs. Replacement tip size 3/4".